Box purse featuring screen-printed design in black and bright red on wood with a natural finish. 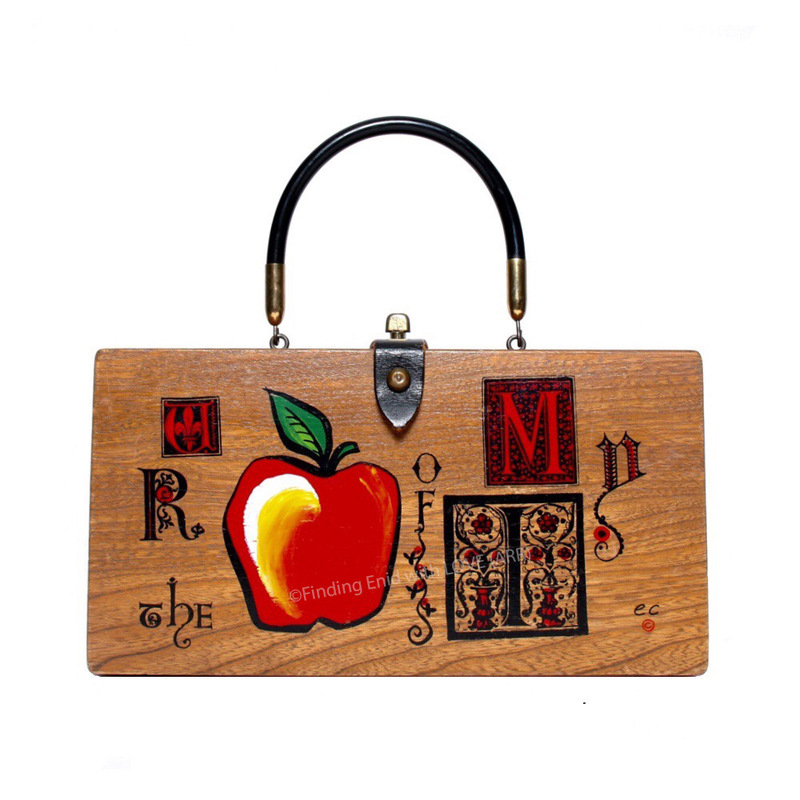 Playfully replaces words in the idiom "you are the apple of my eye" with a colorful apple and letter embellished in a style that hearkens to Medieval illustrated manuscripts. Black vinyl handle and black-leather clasp detail. One of several variations Enid Collins designed on this theme. Undetermined. Possibly reg. no. GP43246, 05/12/1964, "Apple"
Shows less-than-typical wear, including to handles; original screen printing in excellent condition. One of several versions Collins designed based on this theme. Puns were a standard Enid Collins features and apples a favorite fruit motif.